Twenty years ago, Hayao Miyazaki finished what was supposed to be his final movie: a dark, violent, yet beautiful fantasy about the growing conflict between man and nature. Instead, it was acclaimed as an anime masterpiece and ushered in a new era for the legendary animator that included films like "Spirited Away" and "Ponyo." As it returns to theaters for a special 20th anniversary engagement, here are some things you might not have known about Miyazaki's supernatural war epic. According to Studio Ghibli's making-of documentary, Miyazaki's original concept for "Princess Mononoke" was created in 1980 and involved a samurai story with a warrior's daughter and a mountain cat that gains supernatural powers. By the mid 90s, however, Miyazaki felt the samurai narrative was too rigid and no longer relevant to contemporary Japan, causing him to overhaul the story. The Japanese title of the film is "Mononoke-Hime," with Hime meaning "princess." There is no direct translation for "Mononoke," which in this case roughly translates to a vengeful monster or spirit. 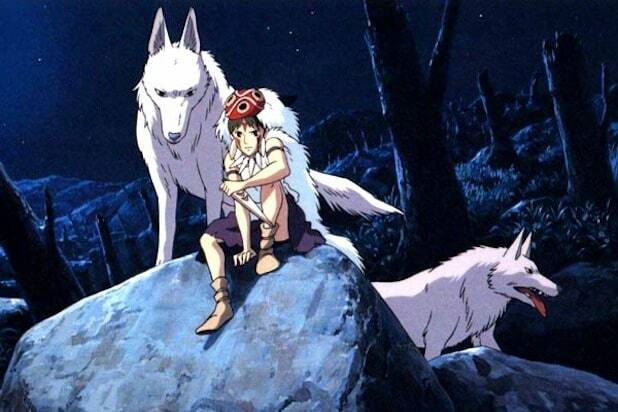 Rather than make a complete change, Miramax decided to keep "Mononoke" in the title for the North American release. Harvey Weinstein, who was then in charge of Miramax, had planned to recut "Princess Mononoke," something that Miyazaki refused to allow after one of his earlier films got 30 minutes removed from the American release. 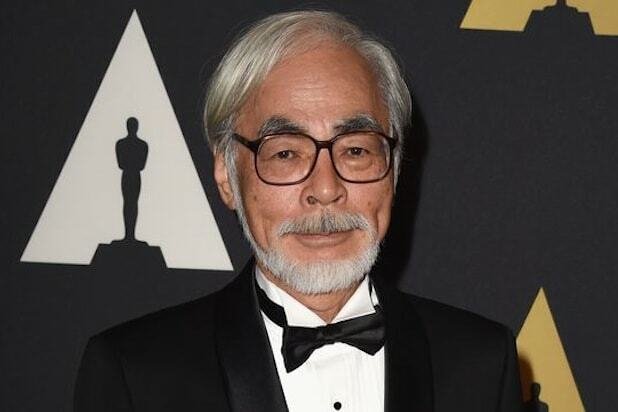 Miyazaki said in a Guardian interview that one of the Ghibli producers responded by sending a katana to Miramax with a note reading "No cuts." Irontown, the village attacked by the Forest Spirit, was inspired by John Ford westerns like "Stagecoach" and "The Man Who Shot Liberty Valence." Miyazaki designed Irontown to feel like a settlement created by social outcasts much like the ones in classic westerns while basing the details of village life in traditional Japanese customs. As for the iron making that pollutes San's forests and drives Irontown's economy, Miyazaki took inspiration from the blacksmiths he lived close to as a child during the 1940s. In the making-of documentary, Miyazaki said he enjoyed watching the process of forging iron and tried to recreate every step in "Mononoke" while also showing the damage mining for raw iron did to Japan's environment. With a budget of $23.5 million (approx. 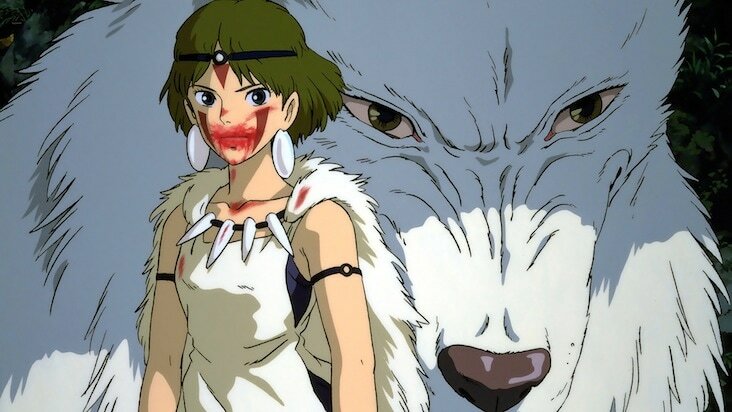 $35M in today's money), "Princess Mononoke" was the most expensive anime ever at the time of release, and Miyazaki said he would not be surprise if it bombed. Instead, the film set a new domestic box office record in Japan and, along with "Titanic," is one of only two films released before 2000 that are still in Japan's Top 10 grossing films. The forest surrounding Irontown is heavily based on the Shiratani Ravine, a nature preserve on Yakishima Island, located off the southernmost tip of Japan. Since the release of "Mononoke," anime fans have traveled to the ravine to visit San's forest, leaving behind little kodama statues in the trees. The wolf goddess Moro is voiced in the English dub by "X-Files" star Gillian Anderson, but is voiced by a male actor, Akihiro Miwa, in the Japanese version.This is because Shinto traditions depict canine spirits, or kami, in a masculine light regardless of their actual gender. Prior to "Mononoke," Miyazaki and Studio Ghibli had been known for family films like "Kiki's Delivery Service" and "My Neighbor Totoro." To make sure parents understood that "Mononoke" was a much different film, Ghibli aired commercials that featured some of the most violent scenes, including explosions and severed limbs. At 136 minutes and over 144,000 animation cels, "Princess Mononoke" ranks in the top ten longest running animated films ever made. Despite this, Miyazaki personally reviewed and corrected all the key frames in the movie. It is estimated that he drew or corrected approximately 80,000 cels.